West Point Island (originally known as Albatross Island; Spanish: Isla Remolinos) is one of the Falkland Islands, lying in the north-west corner of the archipelago. It has an area of 1,469 hectares (5.67 sq mi) and boasts some of the most spectacular coastal scenery in the Falklands. The island is owned by Roddy & Lily Napier and run as a sheep farm and tourist attraction. West Point Island lies off the north-west point of West Falkland. It is 6 km (3.7 mi) long with a maximum width of 4 km (2.5 mi). 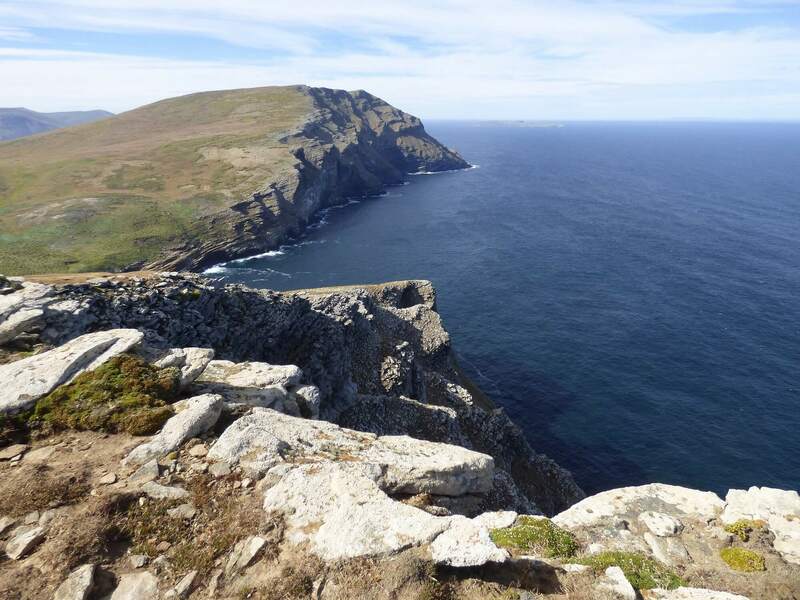 Its dramatic west-facing cliffs are the highest in the Falklands, with the highest point at Cliff Mountain rising to 381 m (1,250 ft). West Point Island Settlement, with its 640 m (2,100 ft) airstrip, lies on Westpoint Cove in the north-east. It is separated from West Falkland by a narrow channel called the Wooly Gut, which is a local reference to katabatic winds that often occur there. It lies south-east of the Jason Islands, the nearest being South Jason Island. As with many locations around the Falkland Islands, in the early 19th century West Point was a popular site for slaughtering seals and penguins for oil. Literal overkill ended this industry in the area. The island was established as a sheep farm in 1879 by Arthur Felton, great uncle of Roddy Napier, the present owner.